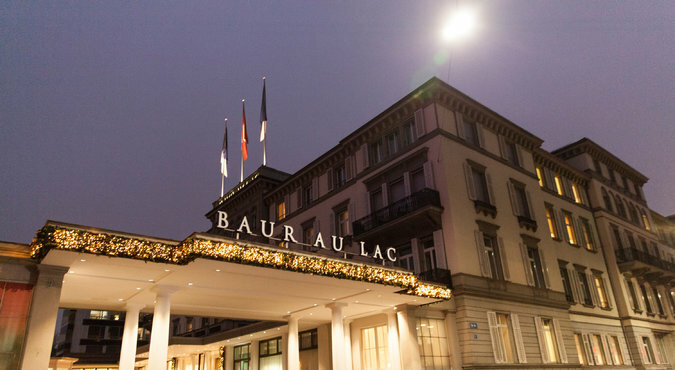 The Baur au Lac hotel has been a fixture in Zurich for more than 170 years. ZURICH — Just before 6 a.m. here Thursday, Swiss law enforcement officers briskly entered a side door of the Baur au Lac hotel. Moments later, a hotel custodian, in a starched uniform and polished shoes, stepped out the front door of the five-star property and dutifully vacuumed the entryway carpets, seemingly oblivious to the police raid underway behind him. It would have been a bizarre juxtaposition for this plush, historic hotel on the banks of Lake Zurich if it were not so familiar. Just six months ago, the Swiss police arrived at the Baur au Lac for the first roundup of top soccer officials, rocking the soccer world and providing an august setting for charges of corruption, bribery, money laundering and other ignoble offenses.